When I get upset with the latest online reactions to the most recent extrajudicial killing of another black or brown person, I have to try to process where the feelings I have come from. And I have to remind myself as I avoid the comment sections of articles related to another dead unarmed black man, that the reason I cringe and become sick to my stomach is because these are modern day lynchings and this is the way in which white America participates today. You can call them extrajudicial killings, murders by cop, or lynchings. It’s all the same. 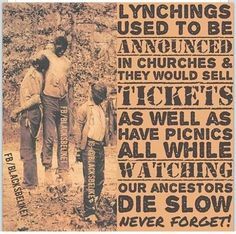 And lynching black and brown folks in America has been a national passtime. A form of entertainment, and a participatory sport for white supremacists. The same way in which white folks of all ages joined in the local lynch mob, is the same way that racist today flock to the internet to add their messages of hate to those of the mob. 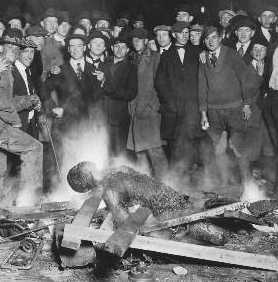 People were proud to stand under the maimed or burned swinging bodies of blacks while pointing and smiling placidly. Children, elderly, and everyone in between participated. 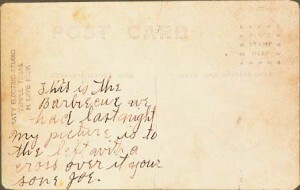 The photos were made into gruesome postcards that could be purchased at your local drugstore and mailed all around the country with birthday greetings, and tourist notes like, “this was our weekend barbeque”. 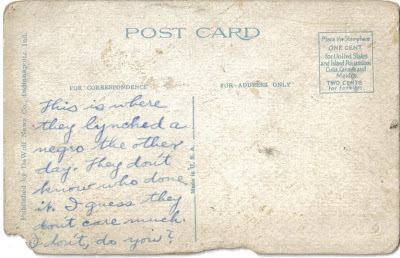 If you forget that lynchings aren’t just about the mob of vigilantes and cops murdering black and brown people, you can find yourself very confused about the feeling of dread you may have as a person of color every time another black person loses their life. 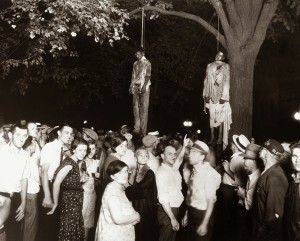 That’s why you have to remember that the lynching was more than the act itself. It was about the torture of the victims, the whoops and the cheers of joy, it was about taking souvenirs from the dead bodies. Today, the lynchings happen on TV, or social media and they are most frequently at the hands of vigilantes, white supremacists, and our law enforcement with frequent overlap between those groups. Today the mobs are social media trolls, tone deaf reporters, and hateful and indifferent sheeple who are quick to join the throngs of people waiting to get their souvenir. But instead of taking a piece of the dead person’s body, they take a whack at the dead person’s character, their parents or their family. Everytime I hear about the senseless murder of another black or brown brother or sister and brace for the gut wrenching hatred to follow, in the news, on social media, I now know I’m bracing for the reaction of today’s modern day lynch mob. 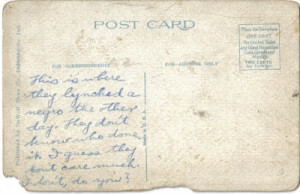 It’s bad enough to having to watch the parade of black and brown bloodied and lifeless bodies on television and the internet almost every, single, solitary, day — but the national celebration of the murderers, the GoFundMe accounts that award millions to those who kill black people – – those are the ways in which the modern day lynch mob operates; it is the way that white racists of today can take part in the national pastime of celebrating the murder of people of color, and it is the reason why I can’t stomach this racist rhetoric anymore than I can stomach the people or the comments in these pictures. This entry was posted in Articles, Community Life, Culture, Indigenous News, News, Opinion and tagged extrajudicial killings, FaceBook, Ferguson, Modern Day Lynching, Murder. Bookmark the permalink.